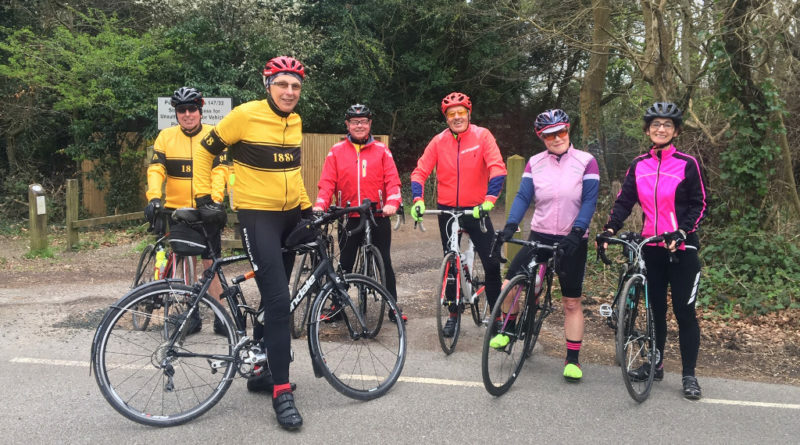 Seven of us met at Shurguard, Roger, Bob, Jim, Karen, Claire, Delmar, Pete and were then joined by three more Sandra, Mick and Ian at Coulsdon PO. Our route out took us up Portnalls road through Chipstead and down Reigate Hill. We then followed the usual route across Reigate Heath to Leigh and finally on to Charlwood. We arrived ahead of the Addiscombe training group so knicked their table! Sandra, Bob and Claire headed back early, and the rest of us returned via Lonesome lane (ignoring the “Road closed even for cyclists sign” – it was completely passable with no sign of road works). Up Pendleton Hill, down into Reigate and then at Merstham turned right into Rockshaw Road and on to Hextalls lane for the climb up the hill to the Harrow. 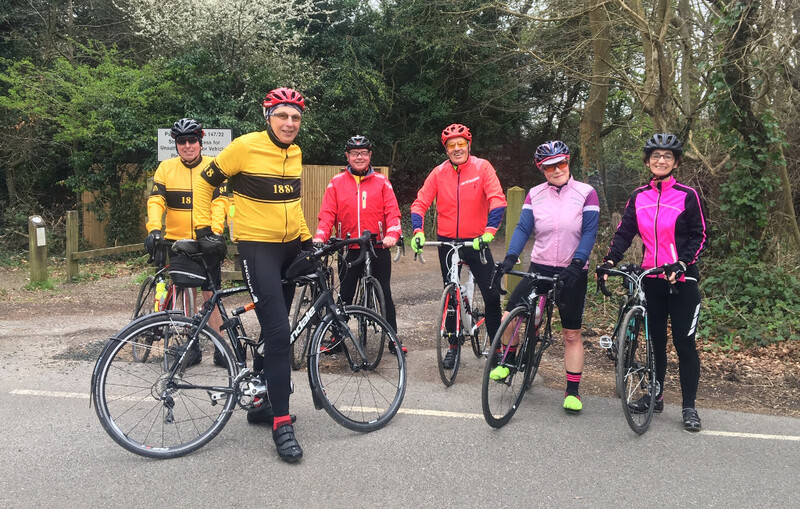 We met up with Jo and Jenny in Caterham on the hill taking our total of Anerley riders for the day up to twelve.